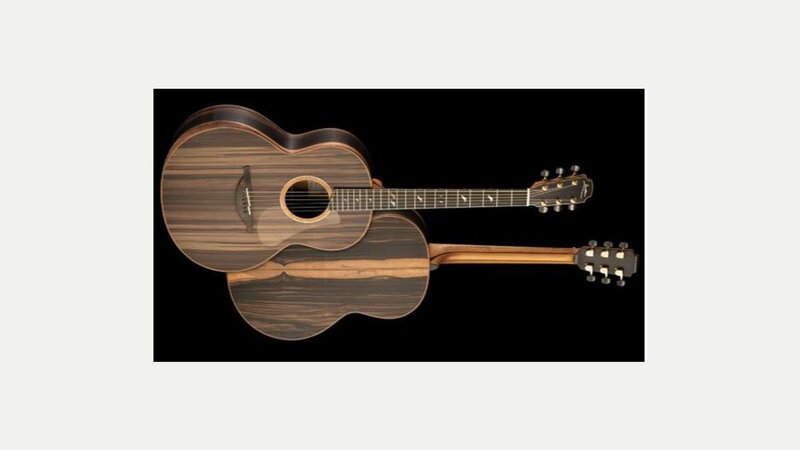 George Lowden is an acoustic (steel and nylon strung) -an now electric as well – guitar maker, based in Northern Ireland. Lowden guitars are currently handcrafted in a small workshop under the direct supervision of George. Their first guitars in 1976 had A-frame bracing and dolphin voicing profiles which established the Lowden guitar’s distinctive and unique sound. In 1980 a workshop was established in Japan to make his guitars under license which continued for around five years; due to the fashion for electric guitars the market for acoustics declined and the workshop was closed in 1985. Production moved back to Northern Ireland to a new facility. Lowden Guitars of this period were labelled with a slightly smaller version of the current oval label and approximately 500-600 guitars were made in each of the first 3 years then approximately 1000 per year thereafter. In 1988 the company went into receivership and was bought by a local consortium who called their company The Lowden Guitar Company and moved production. George Lowden signed a licensing agreement with this new company. The agreement ensured that he retained personal ownership of the Lowden designs and trademark and enabled him to provide quality control and new designs while remaining independent from the company. During this period he was building between 10 and 15 instruments each year for individual musicians who commissioned a guitar. In order to provide additional ‘hands on’ help he then set up his own workshop within the Lowden Factory, to be on hand everyday for troubleshooting and training. In 1998 George Lowden, along with two partners set up a new holding company to buy a controlling interest in the Lowden Guitar Company. George’s vision was “that the company should become as good as the guitars themselves…” In 2003 the License with the Lowden Guitar Co was ended and production of Lowden guitars at the Newtownards factory ceased at the end of December 2003. Lowden guitars are now built by the family owned company, George Lowden Guitars Ltd.